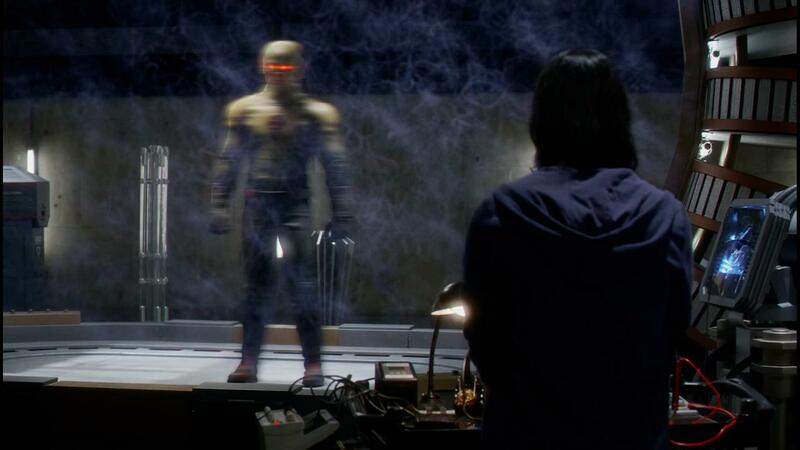 In Episode 15 of The Flash Season 1, what does Cisco figure out when he rewatches Reverse Flash trapped in the Force Field? How did he come to know something was fishy with Harrison Wells? He figures out that the machinery was working so there should have been no way in which the Reverse-Flash could have escaped... without help. The night we trapped the Reverse-Flash in the force-field, he escaped because the containment system failed, but I checked that data three times, and the super-capacitors were still fully charged when he got out. The numbers don't add up, Caitlin. There's no reason that the containment system should have failed. I'm sure there's a perfectly good explanation. But Cisco isn't quite so sure. One perfectly good explanation is that Wells did something to the trap.